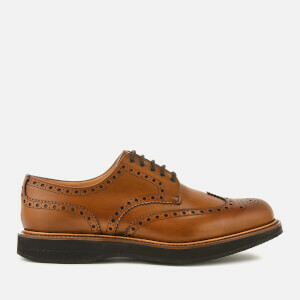 Men’s black leather brogues from British heritage footwear brand, Tricker’s. 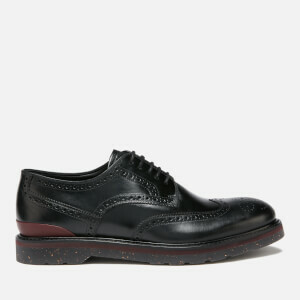 The classic brogue features a black leather upper with punched details, wingtip construction and a Derby lace-up fastening with four metal eyelets. The shoes are detailed with a half bellows tongue and a storm welt for increased wet weather protection. 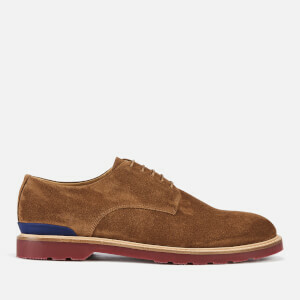 Set on a tonal leather sole, the men’s shoes have a small heel with a rubber insert for added traction. Complete with tonal laces and leather linings for comfort. A branded dust bag and dust cloth is included.